It took five people a good five minutes searching the two metre span of fan coral to find this little fellow. He's facing away from the camera - they are well known for being camera shy - and his tail is wrapped around a branch of the coral. 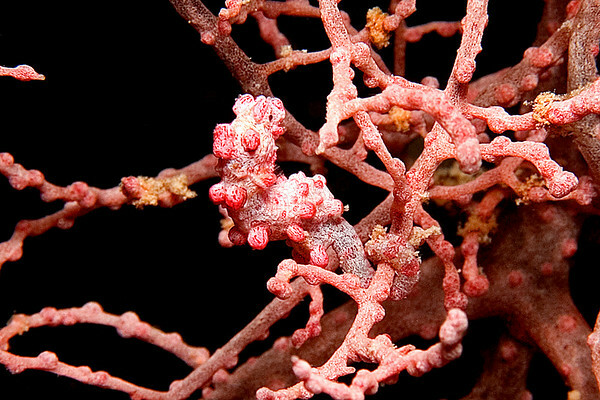 This is a Hippocampus bargibanti (pygmy seahorse), about five millimetres tall, quite rare, and, IMHO, quite beautiful.